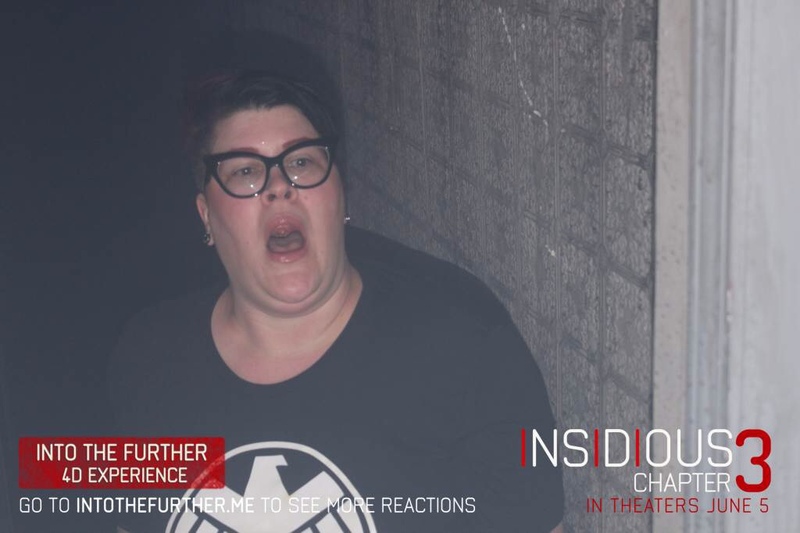 Dallas Comic Con: ‘Insidious 3’: The 4D Experience!! For someone who scares easily, the Insidious 4D experience was made for me. Actually, for a short ten minute trip through the small space it occupies, it’s a great scare. The tour manager Josh Randall found out that I scream like a girl, so he sent me in first. I have never done a “4-D Experience” before, and it’s very confined and you don’t have much room to move. You are escorted in and asked to register at the desk. I’m assuming it’s because in case you die, they know where to send the body. The space is confining and you are sent to a small room, actually chased down the hall by some guy, and asked to wait. The room is super creepy- it looks a child’s toy room, or bathroom, and you are left waiting, awhile, wondering what’s gonna happen to you. Then a TV comes on and explains the experience and then it sends you down the hall, into another room, where a beautiful girl seats you in a chair, and straps you into a virtual reality headdress. Things happen, and you are left screaming. I can’t share, but all of it adds up to some good times, and a final scare that grabs you and takes your picture. Can’t you tell by mine that I enjoyed it? 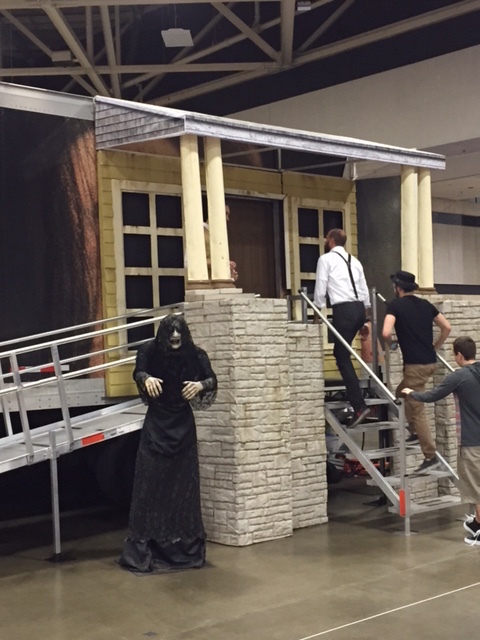 The Insidious 4D Experience is here all weekend as a part of the Fan Expo Dallas. Be sure to check it out!! At Dallas Comic Con This Weekend! Dallas Comic Con 2015: Nathan Fillion and Alan Tudyk!! Dallas Comic Con 2015: The Cosplay!! Dallas Comic Con 2015: A Review From Far Far Away!! This entry was posted on Friday, May 29th, 2015 at 11:26 am	and is filed under Events, Film, News. You can follow any responses to this entry through the RSS 2.0 feed. You can skip to the end and leave a response. Pinging is currently not allowed.